The petition referred to above was discussed in an HCHD meeting held on Feb. 5. In that meeting, Board President Deborah Blackwell informed those in attendance a petition with a 128 signatures had been received. Prior to the approval of the agenda item, Blackwell read from a prepared statement. After providing a thumbnail sketch of her 25 plus years on the HCHD board, Blackwell said, “During those 25 years, the hospital district has operated the hospital on their own, utilized the professional services of a management company and leased the hospital to both ETMC and Timberlands Healthcare. She reported the board worked diligently to find an organization to restore some of those services and had discussions with Christus/Trinity Mother Frances out of Tyler, CHI/St. Luke’s out of Lufkin and Crockett Medical Center, LLC out of Austin. “The partners with Crockett Medical Center, LLC, Dr. Subir Chhakira and Dr. Kelly Tjelmeland, gave us hope of reopening the hospital with an emergency department and other ancillary services,” Blackwell said. Blackwell explained the purpose of Feb. 15 meeting was to order an election to raise the maximum tax rate from $0.15 to $0.35. “We previously asked the tax payers to vote to ‘uncap’ the $0.15 tax rate, which would have allowed the district to tax at not more than the state mandated rate of $0.75. The proposition failed by five votes,” she said. 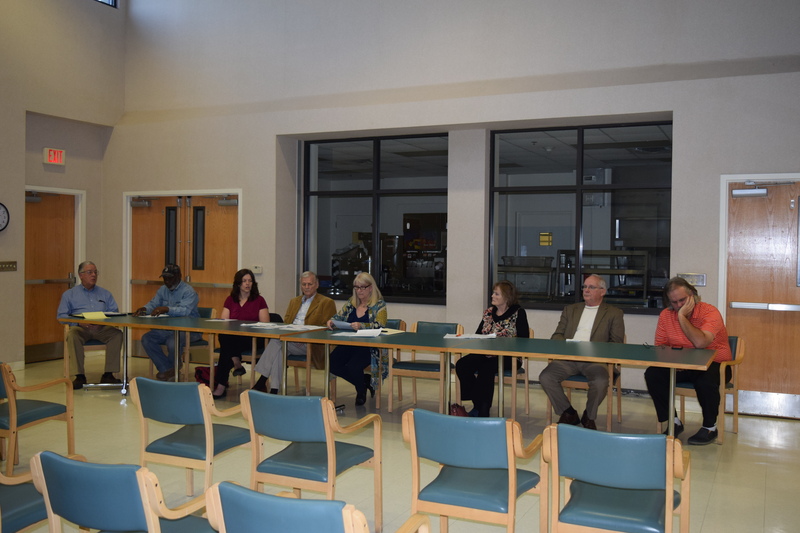 Blackwell explained many taxpayers thought the tax rate was going to be raised to $0.75, but stressed the board would only consider raising the tax rate to a level that other hospital districts assess, somewhere between $0.19 and $0.29. “This leaves about $250,000 to cover accounting, audit, legal, tax district expenses and operational expenses. Then, there is the residual liabilities that Timberlands left us with that are still unknown. We plan to address the debt service immediately by investigating alternate financing options. I feel that the compelling reason to raise the maximum tax rate is that we want the ability in the future to assure that this hospital never closes like it did last June,” Blackwell concluded. After several minutes of discussion, the HCHD board unanimously approved to order the election on Saturday, May 5.